I clicked through on a viral clickbait post yesterday, the kind I normally regret clicking on as soon as my laptop starts whirring and grumbling because of all the pop-ups and stupid ads, but became instantly engrossed. 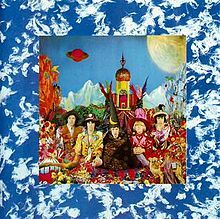 It was an ‘article’ (and I use that term loosely because it was really badly written) on vinyl LPs that are worth money. How exciting! Surely they would be among the most expensive things ever sold on eBay? It turns out I own two of them. An original copy of U2’s The Joshua Tree (worth about £80 apparently) and a rare copy of The Rolling Stones’ Their Satanic Majesties Request. So then I started thinking about how I could get that money and whether it was worth putting it on eBay. What are the most expensive things ever sold on eBay? And this is what I found. 10. In tenth place for the most expensive things ever sold on eBay is a life! Australian Ian Usher sold his life! He was 44 when he placed his life for sale on eBay in 2008. The final bid was $309,292 (£192,000). He wanted to start afresh after a divorce, so he sold his house, car and all of his belongings as well as his job. He handed everything over to an unknown buyer, and walked away with just the clothes on his back, his passport and wallet. 9. A baseball bat belonging to ‘Shoeless Joe Jackson’ from the early 20th century. He is best known for playing shoeless on one occasion, and of conspiring to throw the 1919 World Series for a bribe. His baseball bat, named ‘Black Betsy,’ was sold on eBay for $577,610 in 2010. Made out of hickory and stained black with tobacco, it was posted for sale by his nephew. 8. A Ferrari Enzo. 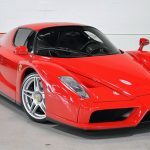 I know nothing about such things, but the Enzo Ferrari is a supercar apparently and one of the rarest as there are only 399 of them in existence. One wonders what happened to number 400? It went on sale on eBay in 2004 and sold to a bidder from Switzerland, for just a $55 edge over the nearest bidder, for a total bid of $1 million. 7. Honus Wagner Baseball Card. A baseball card of Pittsburgh Pirates’, Honus Wagner from the early 20th century, sold for an incredible $1.1 million. 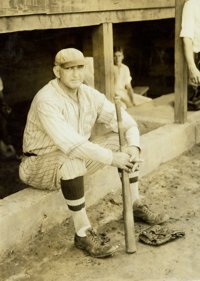 With the help of shortstop Honus Wagner, the Pirates went to the World Series, twice. 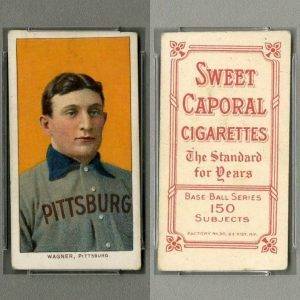 What’s intriguing is that The American Tobacco Company printed Wagner on the baseball cards they sold in cigarette packets, and Wagner protested about the cards, forcing them to stop production. Only 200 Wagner cards were ever distributed to the public, so they are very rare! Baseball enthusiast, Brian Seigel snatched the card up for $1.1 million in 2000. 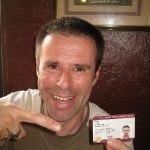 One small piece of card, one enormous sum! 6. The Town of Bridgeville, California. 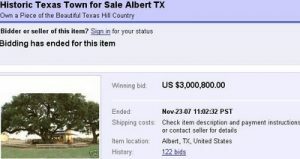 Yes, an 83-acre town with just 8 houses, a post office, a cafe and 30 residents went up for sale on eBay in 2002. The privately-owned town of Bridgeville had been purchased in 1973 by the Lapple family, but they decided in 2002 to move on. They advertised Bridgeville on eBay as a “private retreat, basking in the glory of the redwoods… with the potential for generating a large cash flow.” The final bid was $1.77 million, but the winner sold it again a few years later. Bridgeville, CA Spot the bridge! 5. In fifth place of the most expensive things ever sold on eBay is a house. A house with a war-proof bunker to be more accurate. 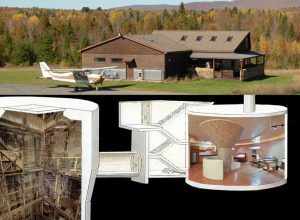 The project was begun after 9/11 to build a house on top of an underground safe space in the Adirondack Mountains in upstate New York. It was finished and the home was valued at $18 million, but they sold it on eBay for just $2.1 million. House with a war-proof bunker. Bigger below than above. 4. The Town of Albert, Texas. 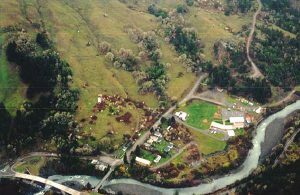 Another town came up for sale on eBay in 2003, and was bought by insurance broker Bobby Cave for only $216,000. It was resold it on eBay a few years later, for $2.5 million. The town had a population of five. 3. Lunch with Warren Buffett. 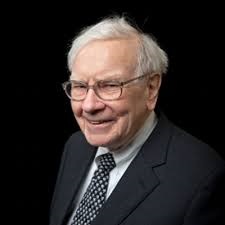 This is an annual auction and in 2010, business magnate Warren Buffett raised $2.6 million. He hosts a lunch that raises money for a San Francisco church whose mission is to feed the hungry every year. 2. In second place of the most expensive things to be sold on eBay list is a jet. Gulfstream II is a private luxurious Tyler jet placed for auction on eBay. 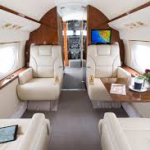 The luxurious private jet seats 12 and was won by a charter-based African company with a $4.9 million bid. 1. The most expensive item to be sold on eBay to date was the Frank Mulder designed Gigayacht. It was auctioned off for an impressive $168 million, in 2006. The yacht is famous for being purchased by Russian billionaire, Roman Abramovich who rose to fame and riches by owning the investment company, Millhouse LLC and the Chelsea Football Club. And what’s not to like? 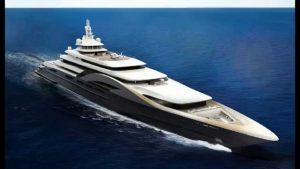 The yacht is 405 feet long, has two VIP suites, a children’s cabin, guest cabins, a gym, movie theatre, spa, elevator and helicopter pad. A bit of a publicity stunt, maybe? Now I was just about to whoop and holler about my own piece of vinyl history until I remembered I actually borrowed it from my Dad, and it is his copy. So I’m er, keeping that quiet in case either he or my brother wants to share in the windfall (an estimated £2000 but if my recall is right, this copy is a bit scratchy).